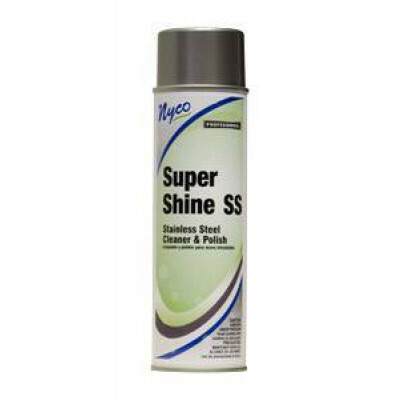 Nyco's Supershine is an aerosol cleaner for stainless steel and other metal surfaces. Not only does it clean those metal surfaces, but it also polishes them. It is the same product as our Liquid Supershine stainless steel polish, but it is in an aerosol format, which makes it even more powerful. All of our stainless steel cleaners help to remove dirt, finger marks, greasy prints, smudges, water marks and many soils from a variety of metal surfaces. Does not contain any abrasives and leaves the surface with a protective mark resistant film. Simple and easy to use aerosol form. Use on both polished and brushed stainless! Delightful fresh citrus scent leaves refreshing clean fragrance. Hollow cone spray pattern allows full and even application of product. Contents under pressure. Do not puncture or incinerate container. Do not expose to heat or store at temperatures above 120 °F. This product features a hydrocarbon propellant and is flammable as per CPSC Flame Extension - Test as described in 16 CFR 1500.45. Remove cap and hold 6-8 inches from surface being sprayed. Spray cleaning cloth or spray directly on surface being cleaned. Wipe surface with cleaning cloth. Polish surface with a second clean cloth. 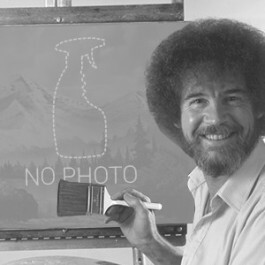 If spraying directly on surface, do not allow spray to dry before wiping. Avoid over spray on flooring, as surface may become slippery. Customers who were interested in the Nyco Super Shine SS Aerosol Stainless Steel & Metal Cleaner - 12 Aerosol Cans were also interested in the following items. This is a review for the Nyco Super Shine SS Aerosol Stainless Steel & Metal Cleaner - 12 Aerosol Cans.